Please click on the link above to view the Skilib Newsletter for September 2017, primarily aimed at our Members. Reminder to complete the Falls Creek review survey if you have not yet done so. Skilib have a fantastic offer for our guests at Mt. Buller. For the midweek nights of August 27 to 31 inclusive, we have a great discount. For this midweek only, our rates are approx. 65% of Peak season rates, on all rooms and for all guests. So don’t wait – get in quick. With some more snow forecast, and Southside opening today (20/7/17), now is the time to get in some great midweek skiing. Skilib has excellent midweek availability for Sunday 23 July through Thursday 27 July. As a special offer, simply stay 2 or more nights during the above midweek period and get an extra midweek night free. To take up this offer, simply book and pay for 2 or more nights, then email “bookings@skilib.com.au”; we will add another midweek night to your booking at no cost. Skilib are offering another special offer for this coming weekend. 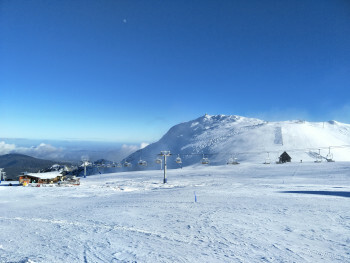 The above offer applies to bookings at Skilib Mt. Buller, and are subject to suitable room availability. Stay 2 nights and get a 3rd night free. To take up this offer, simply book and pay for 2 nights, then email “bookings@skilib.com.au”; we will add another night to your booking at no cost. Stay 5 consecutive midweek nights (Sunday through Thursday) and kids stay free. To take up this offer, email “bookings@skilib.com.au” with details of the names of each adult and child and we will assist with your booking. Please note, children must be in the same room as an adult. The above offers apply to bookings at Skilib Mt. Buller, and are subject to suitable room availability. As well as the above offers we are providing free linen hire to all bookings during Winterfest. To celebrate the opening of Winter 2017, Skilib are offering a deal for opening weekend. Book for 2 nights and get a 3rd night free. 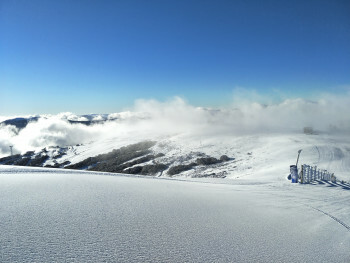 With the new snowmaking facility at Buller, there is sure to be skiable snow on Bourke Street. To take up this offer, simply book and pay for 2 nights, then email “bookings@skilib.com.au”. We will add another night to your booking at no cost. Offer valid on all bookings for opening weekend only. Applies to our Mt. Buller lodge and our Falls Creek apartment.